Hidden horrors in your toothpaste? Can toothpaste really be classed as ‘dangerous to health’? Well the answer is that some of them might well be and there are a growing number of dentists who believe that some toothpastes do contain substances detrimental to our health. 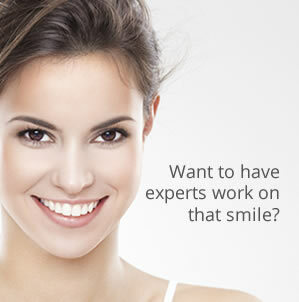 So who better to provide the professional, unbiased advice you need than your dentist and as one of dentist Manchester premier practices, at Carisbrook Dental we have all the qualifications and experience required to provide the reassurance you’re looking for. Our first recommendation would have to be to speak to your own dentist, but if you are at all unsure or if you don’t have a regular dentist, then you are more than welcome to contact us and we can arrange an initial, friendly, informal free appointment to discuss any dentistry issues you may have and to talk about any worries or concerns – including choosing the right toothpaste. The first point we would make is that you don’t have to spend a fortune in buying the most expensive toothpaste, no matter what some of today’s advertisements may claim. Just be sure to look for a good, trusted brand that contains fluoride. Fluoride is the most important ingredient in any toothpaste because it actively helps to prevent plaque formation and strengthens your teeth. If you’re wondering what exactly plaque is by the way, it is a toxic mixture of dead skin cells, food debris and bacteria that when combined produces an acid which softens the tooth enamel and leads to decay. Plaque is also a major cause of gum disease. Fluoride effectively prevents this happening. The next time you’re out shopping for toothpaste it will be worthwhile spending a moment or two in reading some of the small print on the dispenser. Choose a toothpaste that contains fluoride and also possibly calcium. For adults the percentage of Sodium Monofluorophosphate should be in the order of 1450 parts per million (ppm). For children between 450 and 600 ppm. Avoid toothpastes with too much abrasive content such as carbonate of soda or whitening agents because these ingredients can wear down the tooth enamel. Another important ingredient to look out for is Triclosan (this is found for instance in Colgate Total) and it helps prevent bacteria forming for up to 12-hours. The other worthwhile point to remember is that you should try not to swallow too much toothpaste. It is not poisonous but it is primarily intended for use in the mouth only. When you have finished brushing your teeth spit out the residue but don’t rinse your mouth with water because that will simply remove the fluoride and eliminate the good work that it does. This is another reason why you should always supervise young children when they are brushing their teeth. At Carisbrook Dental we provide a wide range of dental treatments, including: restorative dentistry, preventative dentistry, cosmetic dentistry, dental implants and orthodontics. Remember we are always here to help, but choosing the right toothpaste and applying the correct oral hygiene techniques will go a long way to preventing problems.